fisHerman is owned by fishing enthusiast Herman Molenaar, an experienced angling guide for pike on Lough Derg and the East Clare lakes. Located in Killaloe, County Clare, fisHerman’s complete fishing packages have all the possible options: fishing from boats, bellyboats or from the shore on Lough Derg or the smaller East Clare lakes. And as an experienced fishing guide Herman can bring anglers directly to the best spots. Next to his B&B in Killaloe, County Clare, is the lures and tackle shop, where anglers can find all supplies to catch a nice pike, perch or trout. 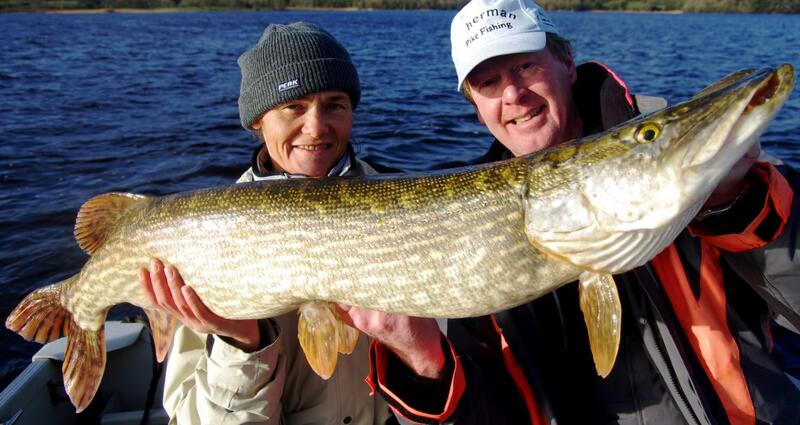 Killaloe and ‘fisHerman’ are pleasant destinations for non-anglers also. One can admire the beautiful surroundings walking through the Irish landscape, where time seems to have stopped for centuries. The village of Killaloe itself offers many shops, pubs and cosy restaurants and across the bridge there are some nice terraces with views on the Shannon River.